Trusted LASIK Surgeons launched its revolutionary Trusted LASIK Eye Surgeons directory service and information resource for consumers at http://www.TrustedLASIKSurgeons.com. What sets the Trusted LASIK Surgeons directory apart is a unique screening process ensuring that only the best LASIK Surgeons in the United States are listed. Refractive Surgeons such as Dallas LASIK Surgeon Dr. R. Wayne Bowman, are screened based on their experience, research, publications, lectures and patient care standards. Trusted LASIK Surgeon's goal is to have the top 1% surgeons listed in its LASIK surgery Directory for every major city in the United States. LASIK Surgeon R. Wayne Bowman of the University of Texas Southwestern Medical Center preparing to examine a patient prior to a LASIK procedure. Trusted LASIK Surgeons announced today that R. Wayne Bowman, M.D. has joined a select group of eye surgeons in its LASIK Surgeons Directory, a consumer resource of information on refractive surgery procedures for improving their vision. Dr. Bowman's practice serves the Dallas and Fort Worth metroplex, including Richardson, Plano, Arlington, Duncanville, Highland Park and surrounding communities. In order to be listed in its LASIK directory, Trusted LASIK Surgeons screens all surgeons. Dr. Bowman meets all of the criteria used by Trusted LASIK Surgeons and his extensive credentials place him in among the top LASIK and refractive surgeons in the United States. The qualifications that most differentiate Dr. Bowman from other LASIK eye surgeons are based in his experience, faculty appointment and research. Dr. Bowman has over 20 years of experience in refractive surgery, including laser vision surgery and lens implants. He has performed over 10,000 LASIK and laser vision procedures to help patients see more clearly. 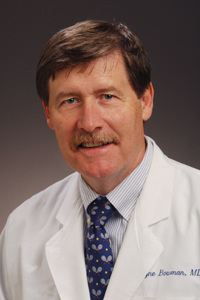 The Department of Ophthalmology at the University of Texas Southwestern Medical Center has appointed him a Professor of Ophthalmology, where he has also served as the Clinical Director, Eye Trauma Center since 1985 and as a member of the Faculty Senate. Dr. Bowman is trusted by the manufacturers of laser vision and ophthalmic medical devices, such as Alcon Laboratories, Allergan Pharmaceuticals, and VISX, and has served as a principal investigator for 12 FDA studies and a co-investigator for other FDA studies for these and other companies. His hospital appointments include UT Southwestern University Hospitals and the Park Central Surgical Center in Dallas, as well as Plaza Day Surgery in Fort Worth. Among his research contributions to ophthalmology Dr. Bowman has written over 35 peer-reviewed scientific journal articles and six textbook chapters and textbooks. He has presented over 100 lectures and courses on research topics at eye meetings, earning the respect of his peers. At UT Southwestern Medical Center, where Dr. Bowman practices, LASIK, PRK (laser eye surgery), lens implants, conductive keratoplasty, phakic implants, limbal relaxing incisions, and cataract lens implants are all offered to ensure that patients obtain the best and most comprehensive treatment for them. In addition, his practice uses the IntraLase system for "All-Laser" or "Bladeless" LASIK, Wavefront Based ("Custom") LASIK and PRK, and the iLASIK procedure, which includes WaveScan Technology, IntraLase, and Visx Advanced CustomVue treatments. UT Southwestern is also home to the Allegretto Wave, the fastest laser system in the U.S. today, and one that optimizes treatments for corneal curvatures. The technologies enable Dr. Bowman to treat patients who are nearsighted (myopic), farsighted (hyperopic), astigmatic (blurred vision), presbyopic (have trouble reading), or any combination of the above. Other eye doctors and their families have chosen him to perform their refractive surgery. In addition, Dr. Bowman frequently manages new patients who have problems and complications from LASIK and other refractive surgery procedures performed by another eye surgeon. Dr. Bowman is certified by the American Board of Ophthalmology. He is a member of the American Academy of Ophthalmology, the International Society of Refractive Surgery, the American Society of Cataract and Refractive Surgery, Association for Research in Vision and Ophthalmology, and the Ocular Microbiology and Immunology Study Group. Dr. Bowman is also active in local and regional professional organizations such as the Dallas County Medical Society, Dallas Academy of Ophthalmology, the Texas Medical Association, and the Texas Ophthalmological Association. Recognized as one of the top doctors in Dallas and Texas, R. Wayne Bowman, M.D., has been named one of the "Best Doctors in Dallas" by D Magazine for the past 5 years, one of the Best Physicians in United States, and to the Texas Monthly Texas SuperDocs. "We are very privileged to have Dr. Bowman join the Trusted Lasik Surgeon directory," said Dr. James J. Salz, Chief Executive Officer of Trusted LASIK Surgeons. "His extensive experience with the FDA clinical trials of laser vision correction with more than one excimer laser system puts UT Southwestern Medical Center in Dallas at the forefront of advances in the field of vision correction. Dr. Bowman and Dr. McCulley are also actively involved in the training of other surgeons in the latest techniques and in the management of complicated cases. Patients in the Dallas area are fortunate to have surgeons of this caliber in their community." "Vision correction surgery is a very important decision. We want to be as meticulous and careful at every step of the procedure, from the evaluation pre-operatively to the surgery and follow-up. Safety and achieving the best possible results are of the utmost importance," said Dr. Bowman. Visit Dallas LASIK Surgeon, R. Wayne Bowman, M.D. profile page. To learn more about Dr. Bowman's refractive surgery practice, please visit UT Southwestern Medical Center's Laser Center for Vision Care. To find a highly accomplished LASIK eye surgery and refractive specialist in your local area who has been qualified and listed in the Trusted LASIK Surgeons directory, please visit Trusted LASIK Surgeons Directory. Trusted LASIK Surgeons, Inc. (Trusted LASIK Surgeons) is a premier LASIK / LASER and refractive eye surgery directory service whose primary mission is to assist consumers in finding the best and most qualified LASIK and vision correction surgeons in their local area in the United States. To accomplish this, Trusted LASIK Surgeons uses a unique screening process where each prospective LASIK surgeon must meet the minimum required qualifications set by Trusted LASIK Surgeons. 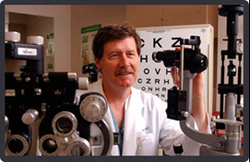 These qualifications are based on experience (not just in LASIK but complete refractive care), research (including FDA approval studies for manufacturers and academic appointments at major universities), publications and lectures (to their peers, not to the public via infomercials) and patient care standards (treating other eye professionals and managing complications from patients first operated on by someone else). All refractive surgeons listed at Trusted LASIK Surgeons have qualified, been accepted, and have subscribed to our services. For more information on why we believe consumers interested in LASIK eye surgery should consider a surgeon listed in the Trusted LASIK Surgeon's directory, please visit our website at http://www.TrustedLASIKSurgeons.com. At UT Southwestern Medical Center's Laser Center for Vision Care, nationally recognized physicians like R. Wayne Bowman, M.D. offer a level of diagnosis and treatment found only at a world-renowned medical center with the highest possible standards of medical responsibility. UT Southwestern is the place that trains doctors in the expanding field of refractive surgery. Thousands of outpatient operations are performed each year at the Laser Center for Vision Care. LASIK is laser vision correction used to correct nearsightedness, farsightedness and astigmatism. First, UT Southwestern ophthalmic surgeons use the latest diagnostic technologies, such as Visante OCT and Pentacam. Then they customize the best and most appropriate procedure for each individual patient's eye and visual needs, including: LASIK vision correction, which offers a wide range of refractive procedures for patients who are nearsighted, farsighted or who have astigmatism, ReSTOR Intraocular Lenses, which are surgically implanted to correct presbyopia, STAAR - VISIAN ICL, for nearsighted patients who are not good LASIK candidates; and EpiLASIK, which is for patients with thick prescriptions or thin corneas (not good LASIK candidate).